September 15th marks Independence Day here in Costa Rica and throughout most of Central America. This day marks the time in 1821 when Costa Rica gained its independence from Spain. They never actually fought for their independence as they were located quite a distance from the capital in Guatemala but it was a victory none the less. This is a country that has used that independence for good, a democratic society that cares more for its people then about colonizing the area. They abolished their army and have universal healthcare that really works for its people. It has been a pleasure living here and learning about their way of life. The festivities begin the evening before as children come out in beautiful traditional outfits to walk the streets with their faroles, home made lanterns, to replicate the scene in 1821 when the people walked with lanterns, throughout Central America, to spread the word of independence from Spain. 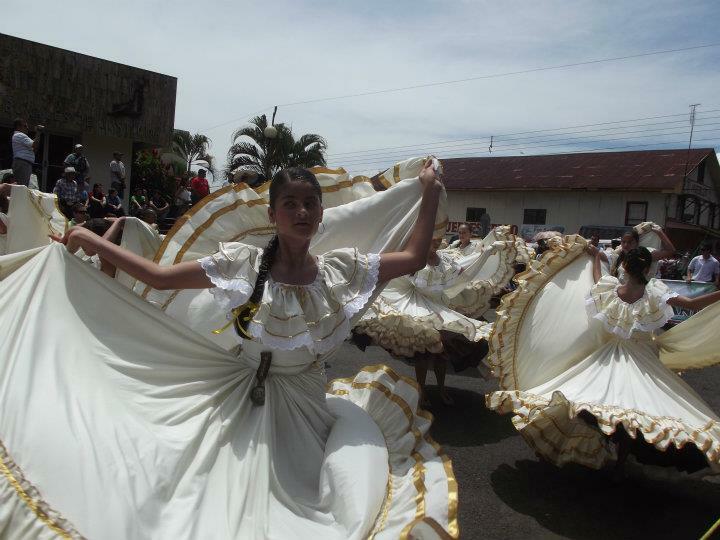 This year it was a ceremony of traditional dance and the singing of national songs. The following morning was full of typical celebrations. There was a beautiful parade that nearly all the school kids are a part of. Children dressed in beautiful attire, the fragrant smell of food wafting throughout the main park, and a cheerfulness that permeates the large crowd. I attended the parade as I always do with my children and our friends. We all thoroughly enjoyed feeling like a part of this amazing little country on one of their most important days. The freedom that they enjoy here is truly a reason to celebrate. The evening ended louder and with more flair and celebration then it began with. Ticos really know how to celebrate! There is a level of personal freedom and enjoyment of the little things that I do not feel is present in everyday life in the United States. We are all grateful to be a part of it. Happy Independence Day Costa Rica!